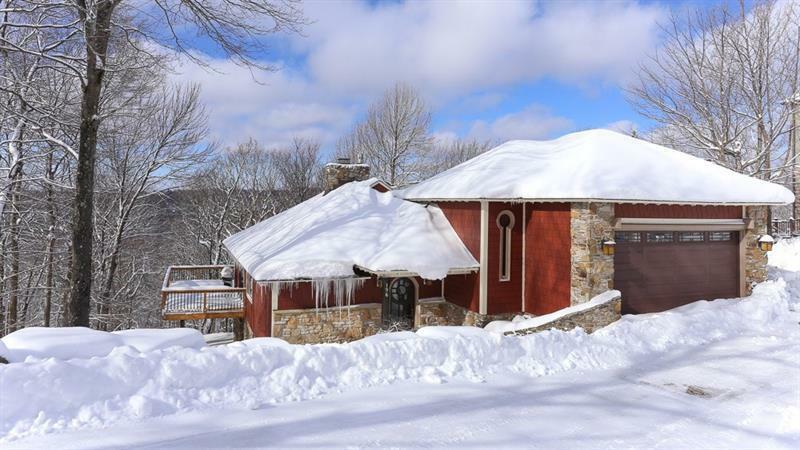 Here is a fantastic 4 bedroom single family home right on the Valley-side ski slopes at Hidden Valley Resort. Step right off one of the multiple decks and you are on the ski slopes. This property has been basically rebuilt and upgraded throughout since purchase. The unique home has an open living area on first floor with hardwood flooring and cathedral ceilings abound with massive double-sided stone fireplace in the middle, maintenance-free exterior and efficient heat pump with A/C. The kitchen has new cabinetry, top of the line stainless steel appliances and granite counter surfaces. Master bedroom has a gas fireplace, and the master bath is one to truly see. The lower floor has the other bedrooms and another family room for entertaining with it's own stone fireplace. There has also been added one of the greatest ski lockers I have seen. Come to to Hidden Valley and see one of the best properties that you will find on the mountain!